This wooden shape sorter is a fun stacking toy that will keep toddlers busy as they slot the five brightly coloured shapes into this sorting block or stack the circle, square, triangle, pentagon and rectangle on the column. 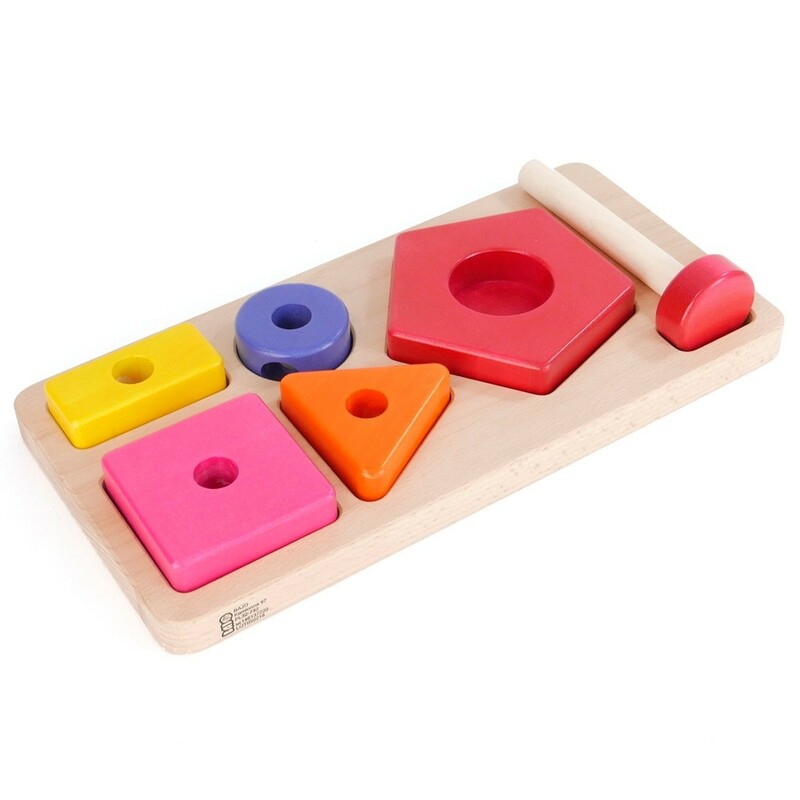 Tots will enjoy taking the five coloured shapes out from the solid board, placing them onto the column and putting them back when done, developing their dexterity as they play. 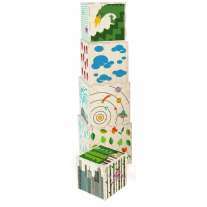 The wooden pieces will make colourful unique towers on the column but can also be used in free play - we think they make tasty food in a play kitchen, counting aids, building blocks and colour sorting toys. 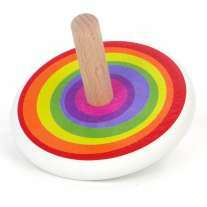 This wooden educational toy is a great way to teach children how to identify different shapes and colours, and develop their hand-to-eye coordination and motor skills. This wooden sorting toy will keep toddlers and children occupied for hours and is handy for playing with on the go - pop into a handbag and take out when tots need distracting in a cafe, on a plane or train. Encourage children to tidy up after themselves by putting all of the pieces back into the sorting board and putting it back onto the toy shelf. 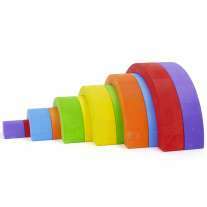 This toy measures 14 x 10 x 10cm and approx 15cm tall when stacked.